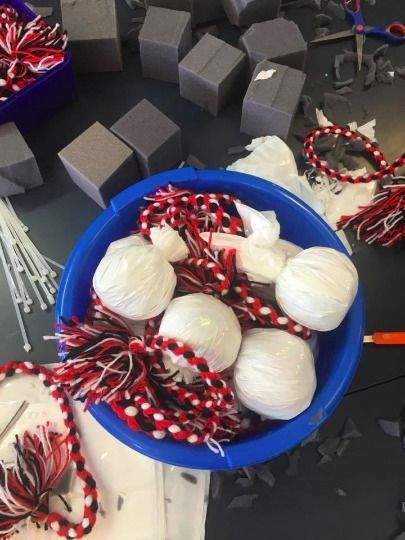 This page is intended for all students in the Kapa Haka group to keep up to date with songs we're learning and also showcase our performances. 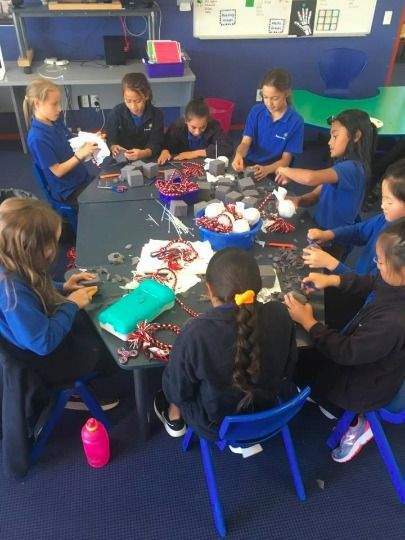 The Kapa Haka group for 2019 is our largest ever with 92 students signing up from Year 2-6. This year we practise every Tuesday during lunchtime and perform at pōwhiri, farewell assemblies and other special gatherings. 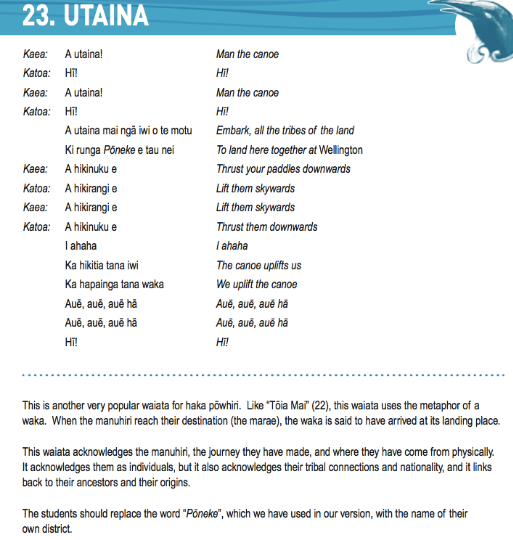 As with previous years, we learn E te Ariki and Utaina and then each term we learn a new action song. 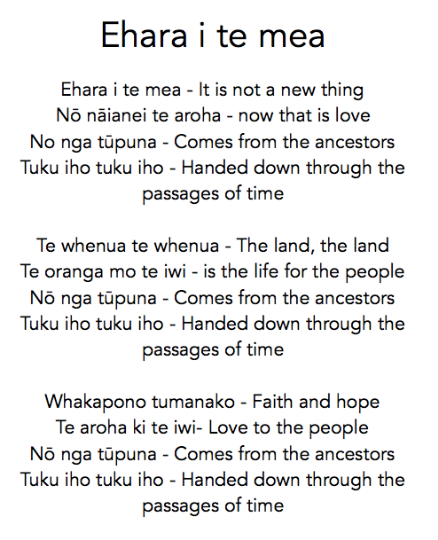 Our first 2 songs will be Kapioio E & Toia mai te waka nei. Both are posted below for you to watch and listen to so that you can practise at home. This is our small kapa haka group who meet for a practise every Tuesday afternoon. 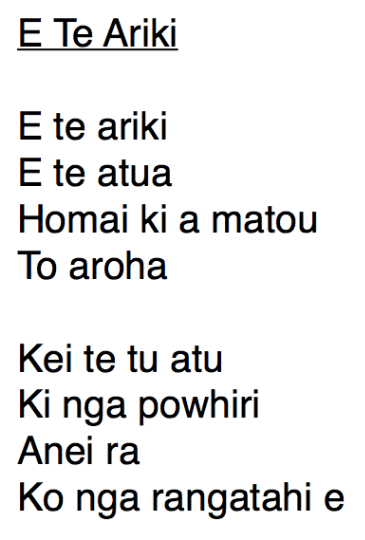 We have learnt two songs together.....Whakarongo Ake and Ehara i te mea. Our first performance was last week in assembly and we will also do one of our songs at the Henderson Intermediate Cultural Festival at the end of the month. On Friday the 26th of October we had a kapa haka sleepover in the hall. 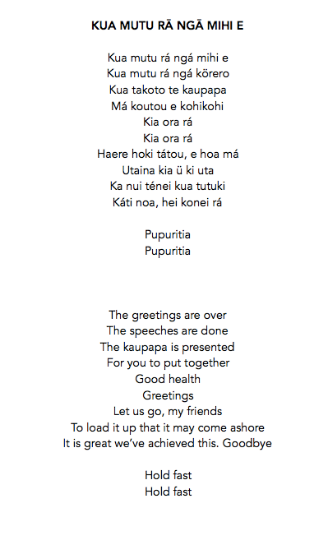 We played games, created our own pepeha display and practised our waiata. It was a lot of fun to play, eat and SLEEP at school! 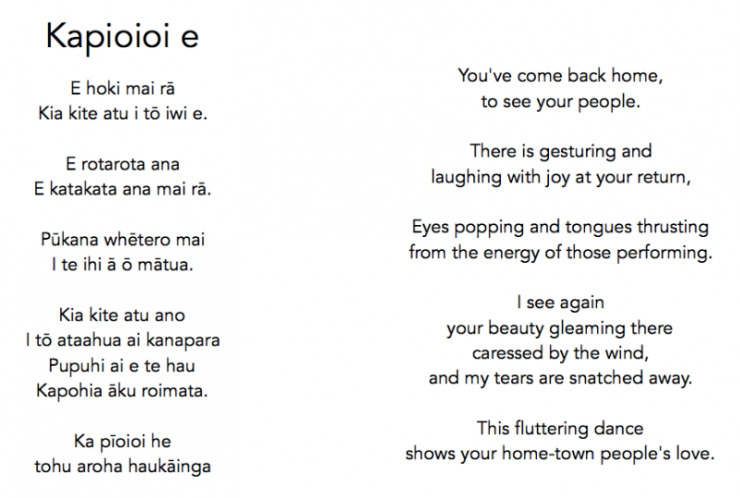 Tēna koutou e hoa ma. 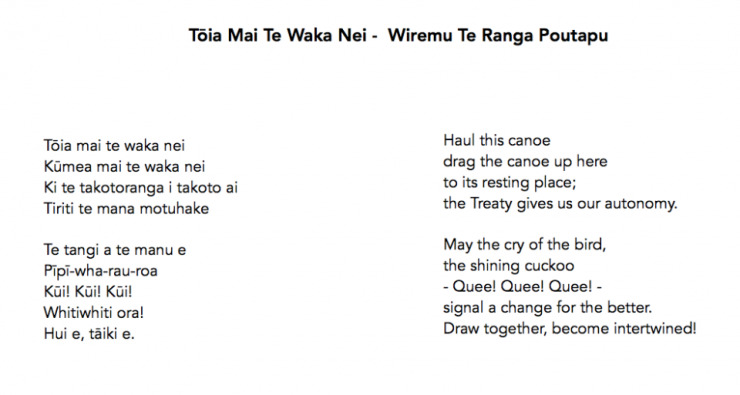 This is our term 4 whole group waiata. 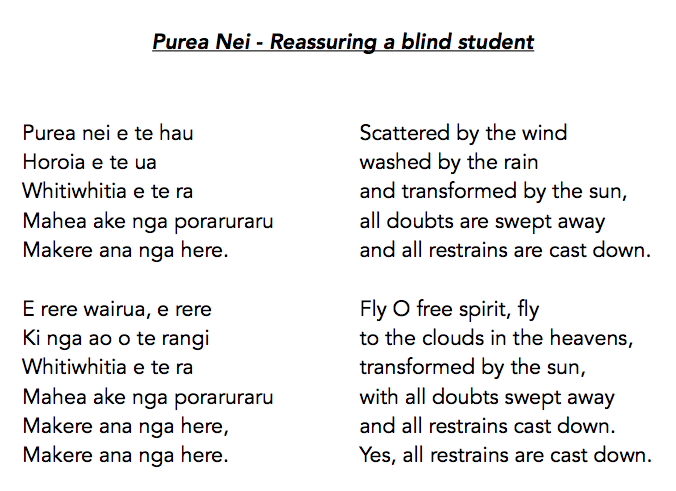 I know this video is a bit difficult to see, but it most closely matches the actions we're going to learn and perform for this waiata. 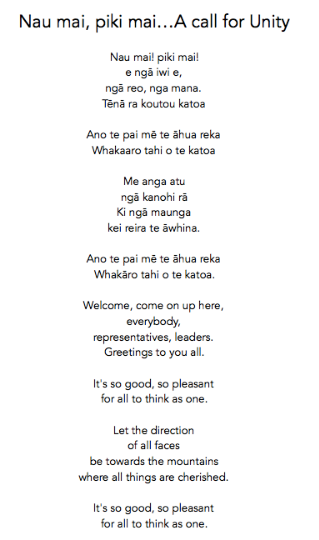 The waiata below is one that the small kapa haka group will learn with their own actions. Here are our Term 3 songs. 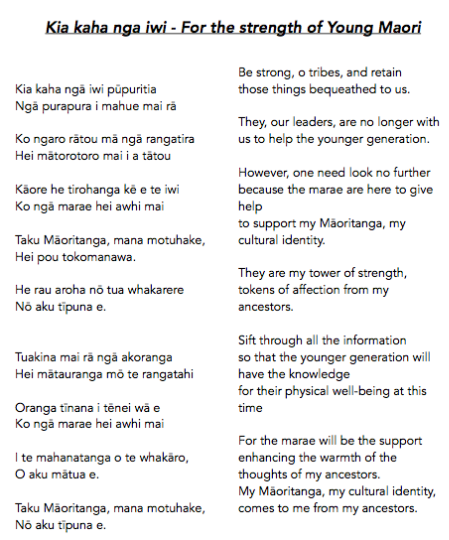 All Kapa Haka will sing 'Kua mutu rā ngā mihi e' and a small group will learn 'Whakarongo ake' and make up their own actions. 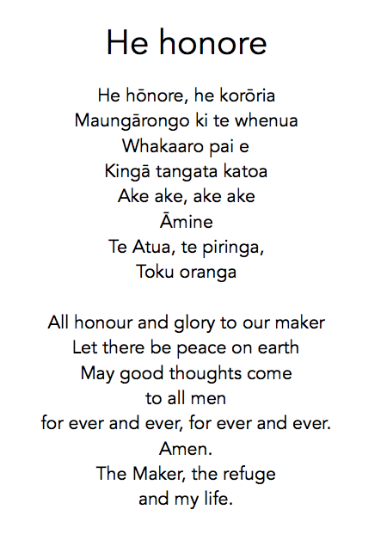 Our new whole group song for this term is 'He Honore'. The lyrics are a bit further down the page so please practise them. 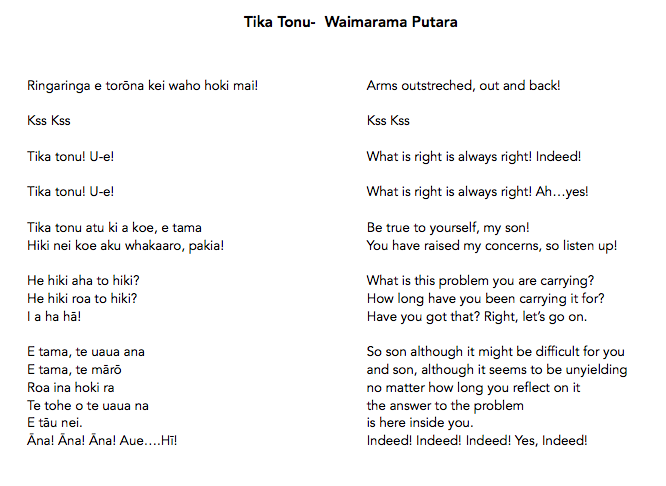 It's a very short song/karakia so we should be able to sing it really well without any mumbled words. Just below is a youtube link of how we will be singing it. 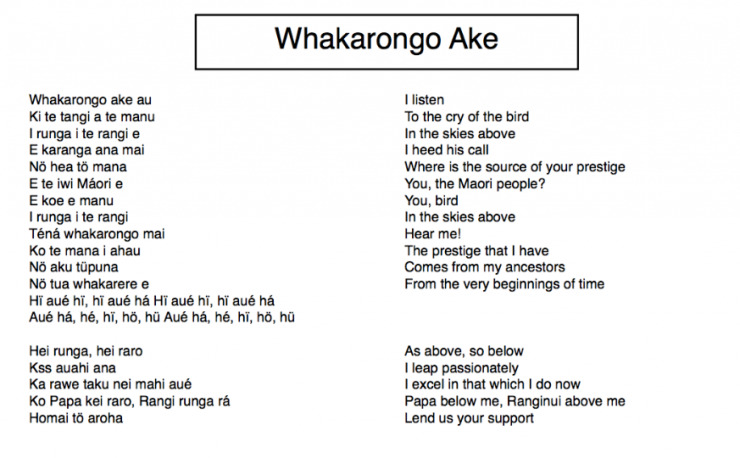 Above is the sing language that a few people will learn and stand to the side so everyone can see them. 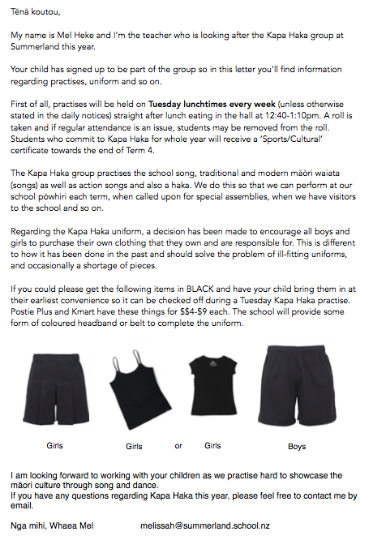 Kapa Haka this year is lead by the amazing and talented Mrs Landon with the assistance of Whaea Heke. We practise weekly and love any chance we get to perform at assembly and at the Powhiri each term (a welcome to new students and families to Summerland). Last week we had a kapa haka sleepover. We practised our songs and then we did some group activities. They were things like filling in a whakapapa tree, a maori vocab challenge, and buddy reading with Maori books. Then we had food which was pizza, hotdogs and chips. We also got to have juice and icecream. We put our pyjamas on and set up our beds. Of course we brushed our teeth too! We watched a movie which was Finding Nemo and then we all fell asleep. In the morning we had a yummy breakfast and played on the playground. 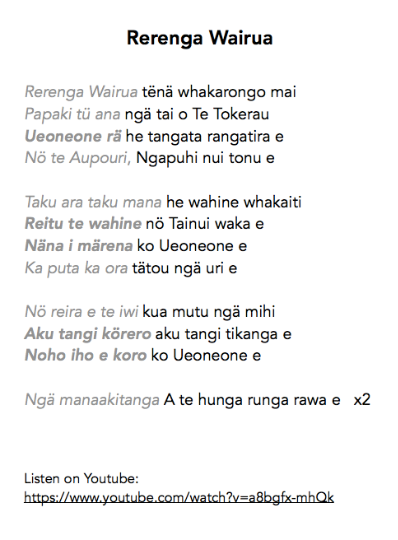 When our parents came to pick us up, we did a performance of all of our Kapa Haka songs.